LVA‘s own Tutor Support Specialist and trainer, Mary O’Connor, helped tutors with all things grammar at her recent information packed Tutor Support Workshop. Happy New Year! 2019 is off to a fast start with Tutor Training Workshops starting at the end of this month. Do you know anyone who might be interested in tutoring? Please tell your friends we’d love them to be part of the great LVA community. Last year students and tutors met for hundreds of hours, countless lessons and achieved many milestones. Here at LVA, we held our first Coffee with Friends, a relaxed and social afternoon of shared stories and a few treats. Tutors started receiving their id badges, and the office has iPads loaded with useful apps to use learning tools. This year we hope to keep improving on everything we do and we are always looking for new ideas. In this issue of The Insider, you’ll meet student Giovanna from Uruguay who spends her days learning English with LVA and beyond. She recently got her driver’s license, also volunteers in our office, and she expects to graduate less than a year after getting to LVA. Impressive! Tutor Starr Baum brings her good cheer to and incredible educational expertise to her LVA students her students. She’s a great advocate for the program. In the news, a writer argues that adult literacy education improves a student’s potential in all areas across their lifetime. Find this and other stories in the links below. Giovana is very friendly and even more hardworking, both have helped her learn English with LVA. LVA student, Giovana, came to the United States from Uruguay, knowing little to no English in August, 2018. In just 10 months, she will be graduating from our program. How do you get from a beginning ESL student to an advanced Basic Literacy student in such a short time? Practice. Practice. Practice. World-renowned cellist Yo-Yo Ma immigrated to the United States when he was 7 years old, and, with lots of practice, landed on the stages of Carnegie Hall and other venerable concert halls. 34-year-old Giovana has that same work ethic. She takes English classes for 28 hours a week. And, in her “spare time,” she practices English. And help, she does. Giovana volunteers in our office two hours a week. 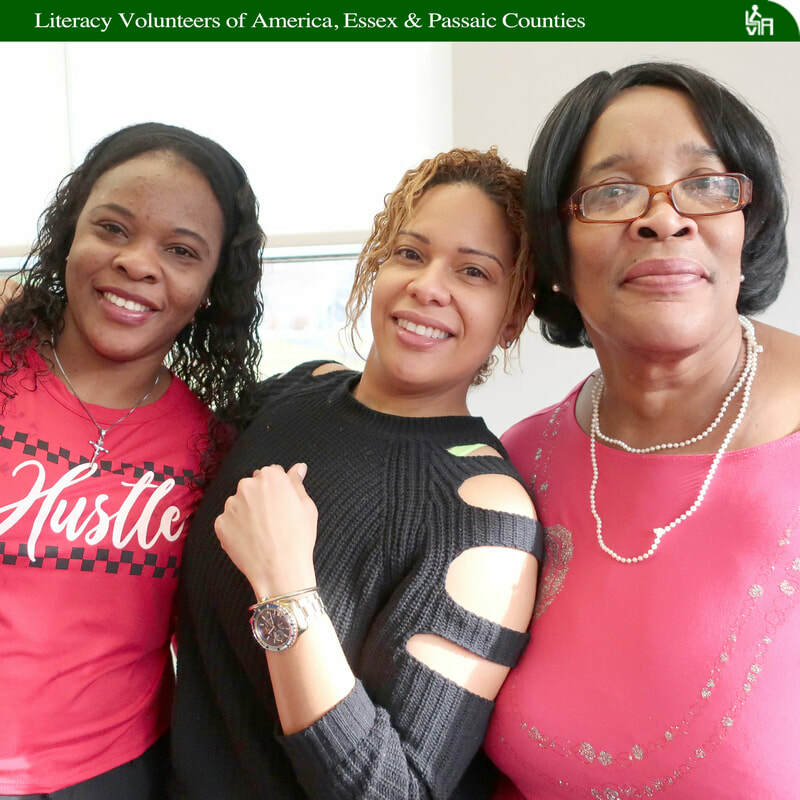 Unfortunately for LVA, she had to cut back from volunteering four hours per week due to her Monday-Thursday morning English classes at New Community Corporation and weekend classes at ASA College in New York City. Giovana is a young star on the rise whose hard work and dedication are to be admired. 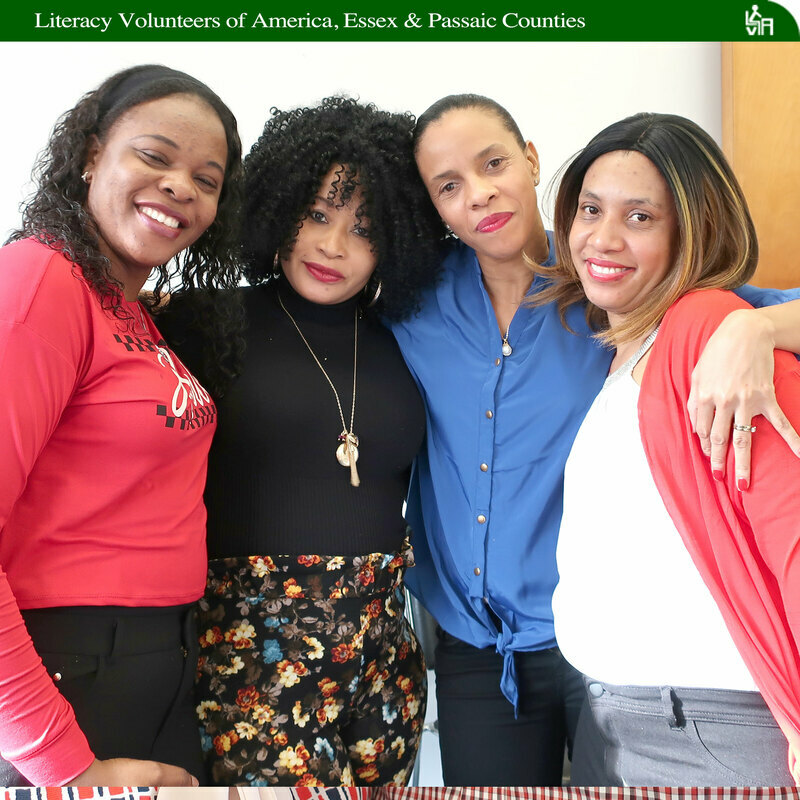 Although much of this country’s educational focus is on P-12 grades, adult education cannot be ignored and adult literacy education is proven to be valuable in breaking links to poverty and improving job possibilities for those who participate. 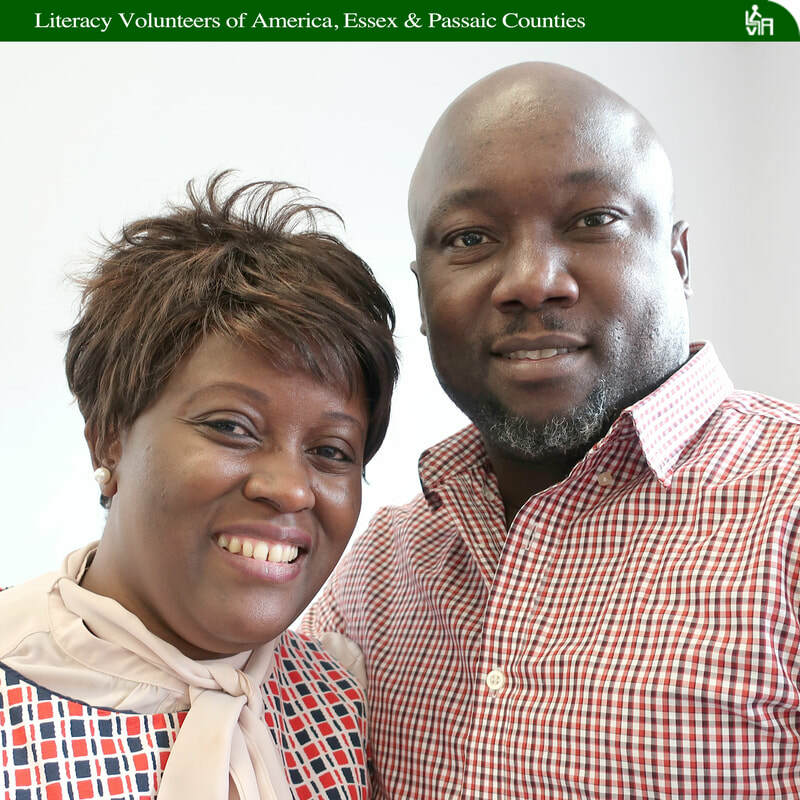 Adult literacy education improves a student’s abilities and possibilities across a lifespan. Recently, the Patton College of Education at Ohio University became the first four-year institution in Ohio to receive a special Aspire Grant from the Ohio Department of Higher Education to address adult literacy needs. It has been called the first “GED to Ph.D. program” by John Carey, Chancellor of the Department of Higher Education. The new program provides research opportunities for faculty and student engagement opportunities for both undergraduate and graduate students as well as educational opportunities for a large part of the region’s citizenry. The new program “will show the power of adult instruction in literacy, numeracy and problem-solving and have a positive impact on people’s lives in our region,” says Julie Barnhart Frances, the director of the Stevens Literacy Center within the Patton College of Education. When feminist activist Gloria Steinem was busy laying the groundwork for Ms. Magazine, LVA tutor Starr Baum was dreaming of a completely different path, her Mrs. degree. Starr hoped to follow in the footsteps of her beloved mother. “I was a person who thought going to college was getting an Mrs. degree. This was in the late 1960’s. My mother was in graduate school when she met my father and in three weeks married him. They were married over 50 years. My older sister married the day before graduating from college,” Starr said. Along with being happily married, Starr is happily enjoying being a tutor. She has taken the expertise she learned from a 43-year teaching career in early childhood education where Starr taught young children how to read, and put it to work with her adult LVA students. Another one of Starr’s students was a native born English speaker who never had the opportunity to attend school due to dropping out in third grade to help his family. As a teacher, Starr used Language Experience Stories with which she also became reacquainted in her LVA training. Like many students, Patricia’s desire to learn English was twofold, she wanted to get a better job and help with her children’s school activities. She’s working toward those goals and is now an office helper and is getting more involved with her children’s school. Irene, from Italy, said she had lived the best experience ever, by living here in The United States. She’s been learning English, which she loves, and learning a new culture, “This country gave me a big opportunity,” Irene said. “I think my favorite part was learning grammar because before that I had a hard time conjugating the verbs,” said another student with pride. “I like speaking, writing and listening together because they help me understand,” said a student. The students celebrated with a delicious buffet reflecting all their cultures and there was even a little dancing. These students and more in teacher Eidy Urena’s class at the Hilton Branch of the Maplewood Memorial Library, celebrated the end of their class session from the Adult Literacy and Community Library Partnership, a state program that aims to create direct partnerships between local libraries and adult literacy service providers. 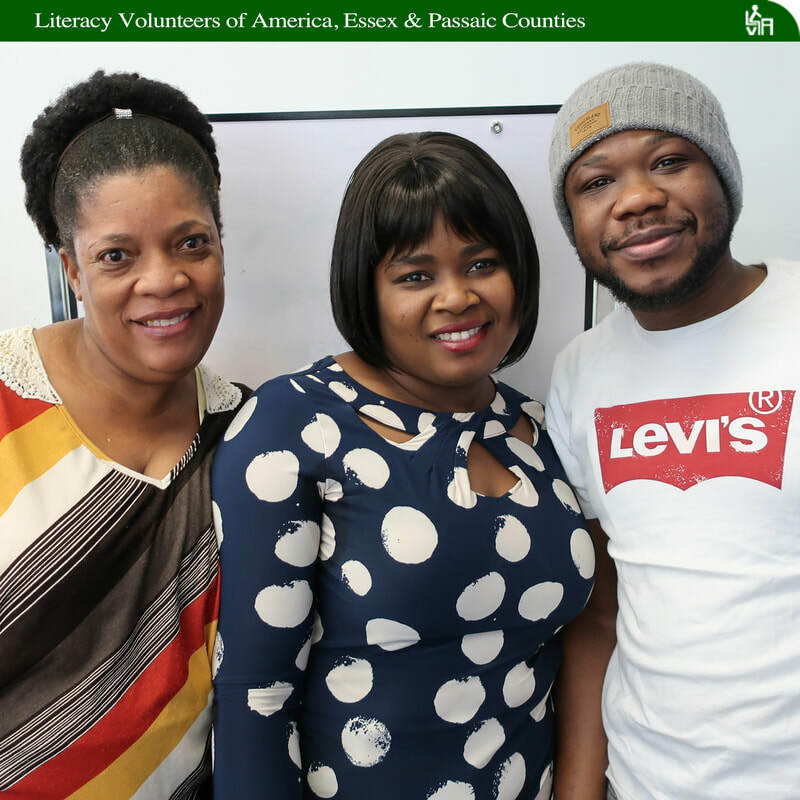 Together, libraries and literacy organizations provide training or language instruction that help New Jersey residents increase their Adult Basic Education and language proficiency skills in order to enhance their chances of finding employment outside of the low-skilled job market. 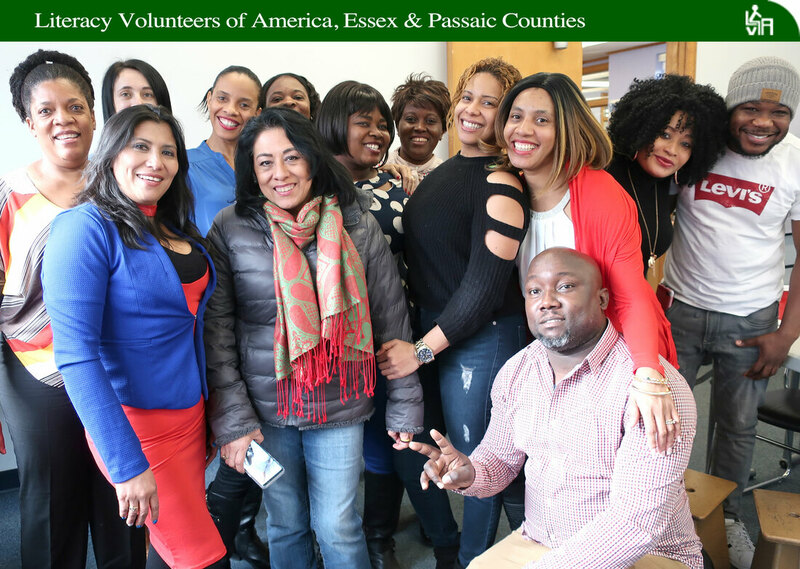 Funds were granted to libraries throughout the state, including Maplewood, Passaic, and Paterson, which work with LVA to offer intensive ESL classes. One round of classes in Maplewood ended in December and new classes began last week.